The Ticketing Sector is a dynamic and creative world. 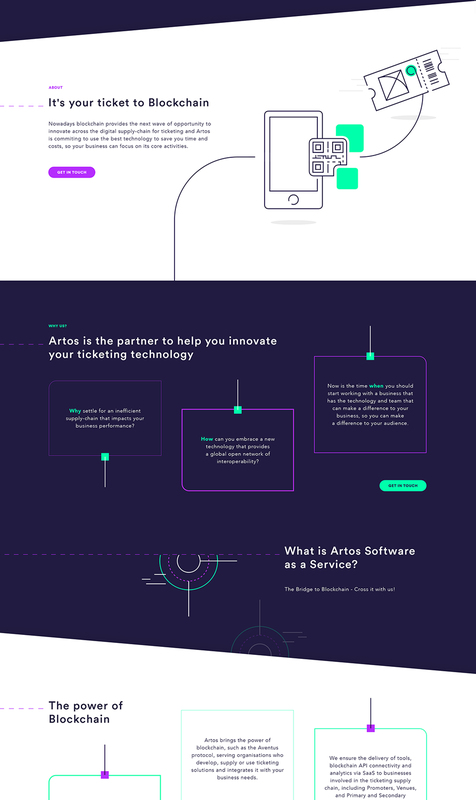 Artos is the breakthrough technology partner that will help businesses to innovate their ticketing strategies to become more competitive and alleviate fraud. It's against that backdrop that Underscore created the Artos story as “the bridge to blockchain”. The next wave of opportunity for the digital supply chain and Artos is committing to use the best technology to save customers time and costs, while contributing to a big socio-economic transformation. Just the ticket.